If you want fresh flowers for your traditional ceremony, your colour selection is a no-brainer - red flowers will unify the look of your special day. However, you should avoid limiting your florist to just red roses; sure, they’re classic, but using a variety of shapes will keep the look of your floral décor current. Try ranunculus, anemones and tulips weaved amongst the arrangements for a unique edge. Make florals the centrepiece of your outfit with stunning flower jewellery, such as the intricate necklace (from £250) below designed and created by luxury florist Zita Elze. 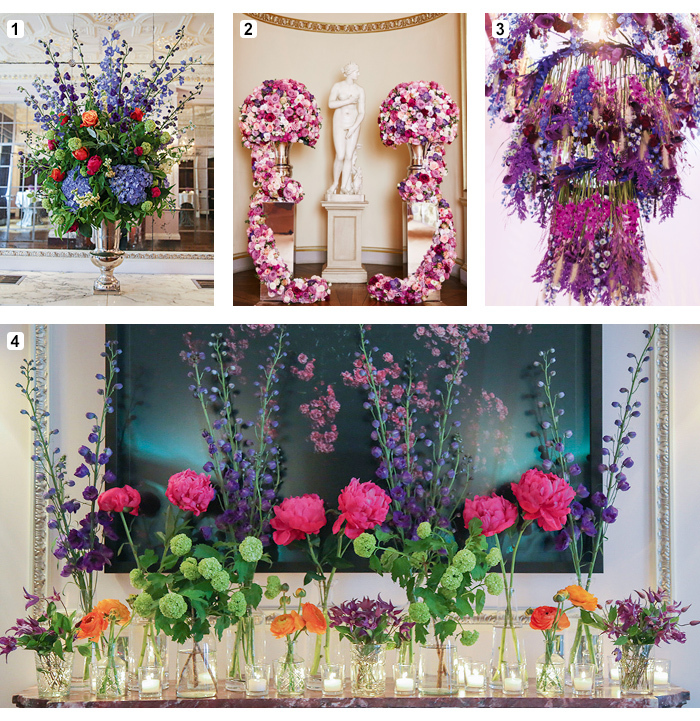 Spring forward with a pop of vibrant jewel-tone arrangements, centrepieces and boutonnières. You’ll have a wealth of options for your bright bouquet including African violets, chrysanthemums and hydrangeas and if you’re having a bright colour theme throughout your Big Day, jewel brights can help tie the look together to really make an impression on your loved ones. 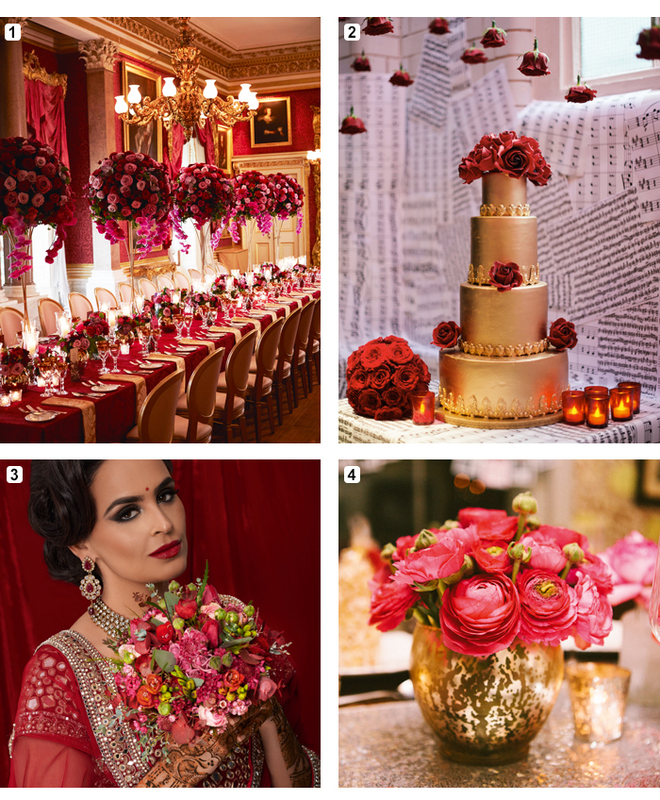 Push the boat out with a specially commissioned floral chandelier or forgo jewels for jewel-toned floral jewellery to turn heads at the Mehndi party. 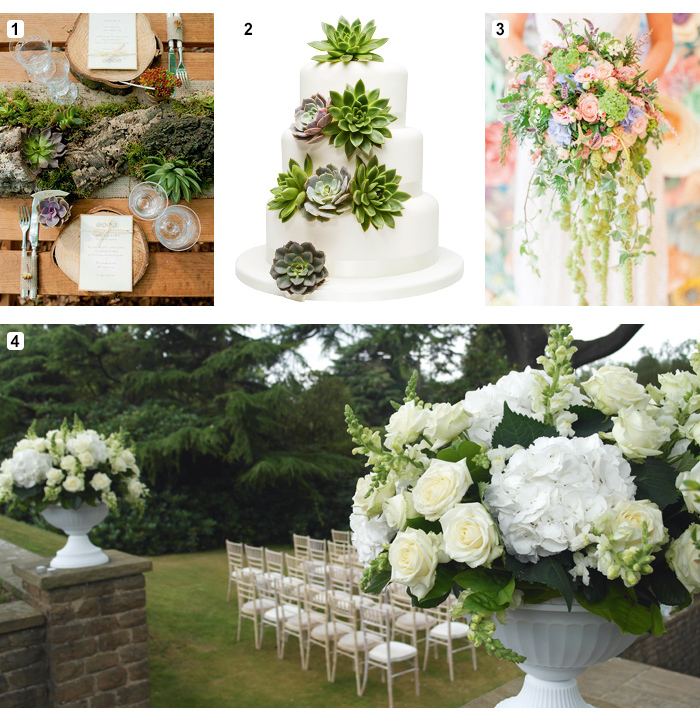 When it comes to choosing your wedding flowers, the combination of blooms, colours, scent and textures are yours for the taking. But if you’re picturing a simple, sophisticated celebration for say, your registry, narrowing down styles in the same colour family is the easy way to keeping things stylish. There are dozens of flowers to pick from if you opt for a pale palette as your base – from classic spray roses to white anemones or peonies for a more dreamlike, vintage feel. With a single hue, there’s more scope to experiment with textures and form to create interest. Include fillers such as baby’s breath, succulents and fragrant herbs to bring your floral arrangements to life.